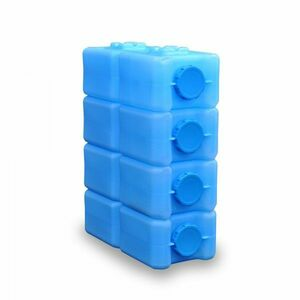 WaterBrick Stackable Water Containers and Food Storage Container: Stores 3.5 Gallons of Liquids or up to 27 Pounds (264 Adult Servings) of Dry Foods. Made of rugged, high density polyethylene (HDPE) with an easy grip comfort handle. These unique water containers, unlike any other, can also hold food and other life essentials while adding value by cross stacking up to 4 feet for maximum efficient storage. • Interlocking Ability: The WaterBricks easily interlock using their male and female connectors (cross stack for safety). • Recommended Stacking Height: Can stack up to 4 feet high for space saving purposes!